This is the perfect go to, everyday necklace. Its on the right side of blingy to be worn on any occasion. Brilliant on the school run over a sweatshirt or equally stunning in the evening with a lacy cammi. The gold disc measures 2.5cm long (jump ring included) by 1.75cm wide. 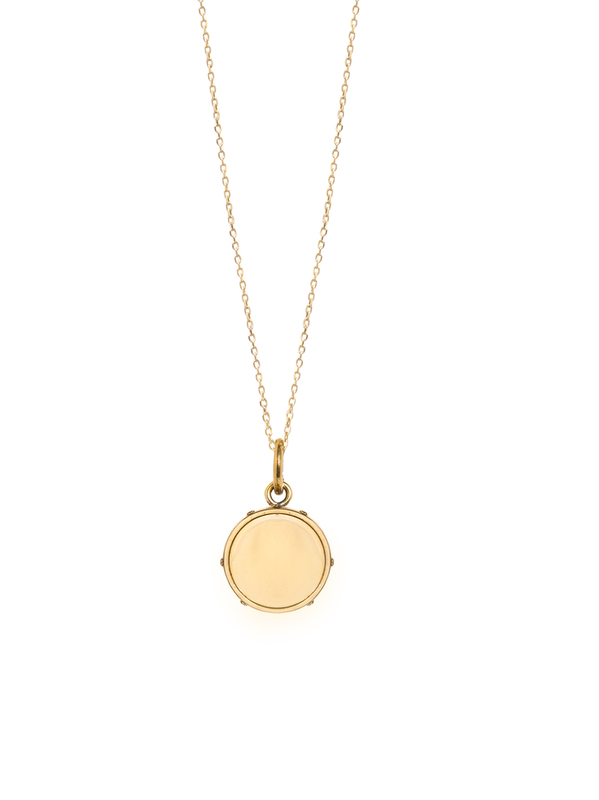 It hangs on a sterling silver trace chain which has been plated in 23.5 karat gold. The necklace has three different length options on the same chain, so it can be worn at 40cm, 45cm and 50cm.